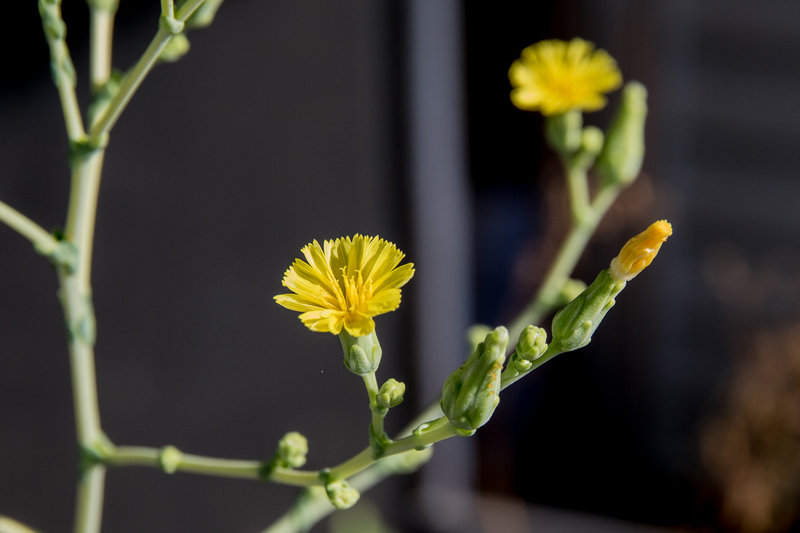 I’m not one to harvest lettuce seed for reuse, as I like to try out new varieties but I have been curious about how the flowers look, and how the seeds develop so I let some go to seed. It took weeks before I caught some flowers actually open. Most of the day the flowers are tightly closed. Since I never saw any flowers open I was beginning to think that they never really opened. 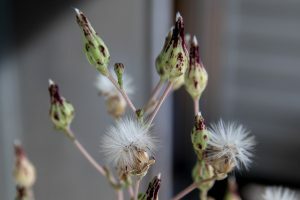 Conveniently I had one plant with open blooms and another with fully formed seed heads at the same time for the photographs. The seed head I pulled the seeds from contained 18 seeds. 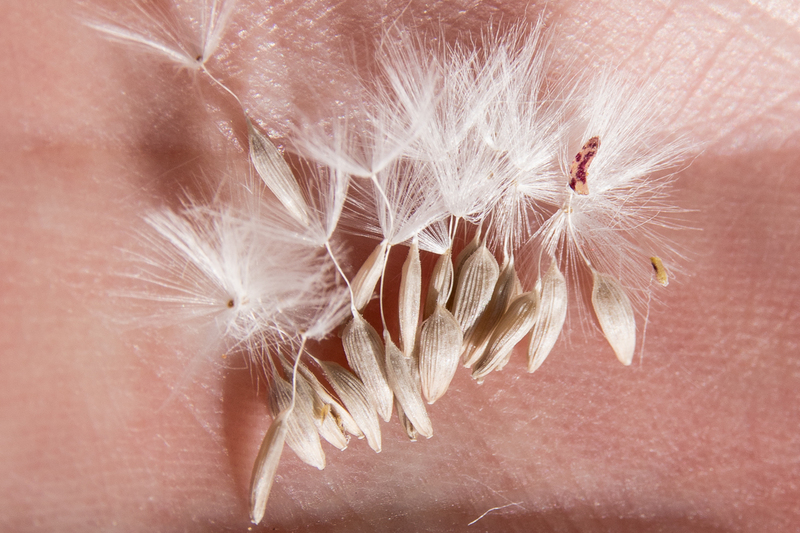 One plant going to seed would be more than enough to supply for any garden the next year.